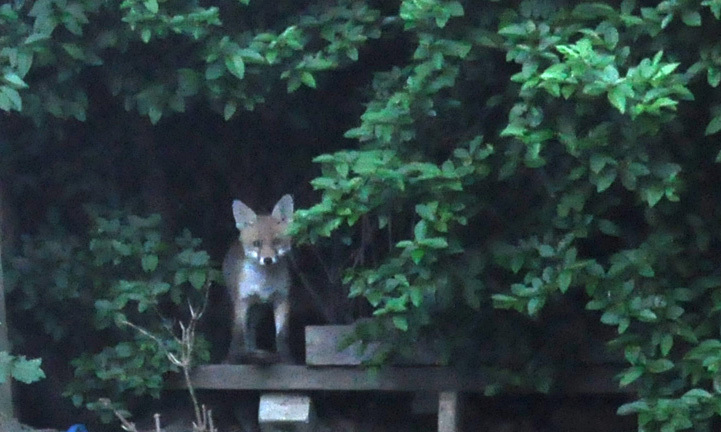 I have mentioned earlier that foxes family is living in my garden. Today is my lucky day (evening) – they came out from their den earlier than usual, just before dusk. I could photograph only one of them, but I still hope to catch all five cobs and their mother on my camera. This entry was posted in Posts and tagged animals, bla-bla-bla, fox. Bookmark the permalink.